The company began working with Burson on Monday. BRENHAM, TX: Blue Bell Creameries has contracted Burson-Marsteller, in addition to kglobal, to support communications around the company’s voluntarily recall of all ice-cream products due to listeria concerns. Burson started working with the company on Monday, said Joe Robertson, Blue Bell’s advertising and PR manager. Earlier that day, Blue Bell realized its initial assumption that the bacteria was isolated to one machine in one room was "wrong," after an additional half gallon of contaminated ice cream was found in its Brenham, Texas facility, according to a statement from the company’s CEO and president Paul Kruse. Before the mistake was noted, Blue Bell had initiated gradual recalls. Washington, DC-based kglobal was contracted on March 23 during an earlier recall and continues to assist the company with this matter, confirmed Gene Grabowski, a partner at the firm. Robertson confirmed that Burson and kglobal are the only PR firms Blue Bell has enlisted to aid with its recall crisis. He explained that both firms are equally involved in every aspect of the issue. Blue Bell works with eight PR firms across the country, but the other agencies are not working on this matter, Robertson added. "We are working with Burson’s Austin, Texas office, so they are local and we can meet with them face-to-face, which is a big help," Robertson said. "They know us and our product very well." A representative from Burson was not immediately available to comment. On Tuesday afternoon, the company created a FAQ page about the recall on its website. Blue Bell linked to it from the brand’s Facebook page. Blue Bell is working to "make things right," said Robertson, by removing all products from the market and implementing a "test and hold" program, which ensures that all products released will be tested first and held for release to the market until after tests show they are safe. The company is also implementing additional safety procedures by expanding its system of daily cleaning and sanitizing of equipment; growing its system of swabbing and testing plants by 800% to include more surfaces; sending samples daily to a leading microbiology laboratory for testing; and providing additional employee training. At this point, Blue Bell cannot say with certainty how listeria was introduced to its facilities, Kruse said in a statement. The company continues to work with food safety microbiologists to inspect its plants and systems to eliminate this problem. Listeria can cause harmful infections in people with weak immune systems. 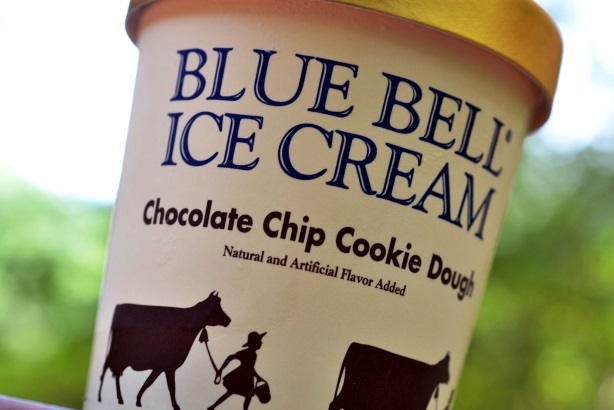 So far, 10 people have reportedly fallen ill from Blue Bell’s products. Genetic tests link listeria bacteria from two separate Blue Bell factories to at least six cases of listeriosis dating back five years or more, the Centers for Disease Control and Prevention told NBC News.